Karawang is a potential big city with a large plant area of multinational companies / industries. Besides becoming industrial city in Indonesia, it also has some interesting places to be visited. The dam of Walahar was built in Dutch era so that the architecture is with a touch of Dutch architecture. The Walahar dam is located in East Karawang, or in the area of Klari. From exit tol East Karawang (KM 54), you must go right about 3 KM. In Walahar Dam, you may not only see the beautiful dam but you may be able to taste delicious original food from Karawang, 'pepes'. Pepes is the Indonesian way to cook using Banana leaf to wrap the food before it gets roasted / steamed. There are many food that can be cooked to be 'pepes' : fish, tofu, chicken, prawn, etc. Pepes Walahar H. Dirja is very famous not only for local people but also for people who live outside Karawang. The spices are really delicious and the price is really reachable. To get into the restaurant you must across the Walahar bridge that is only enough for 1 car width. While you crossing this bridge, you can also hear the water flowing into the dam. Curug Cigentis or Cigentis Waterfall is located in Karawang, about 35 KM from the center of Karawang. The road to reach this place is not really good, really rocky and slippery. Moreover, you must hike around 20-30 minutes to the waterfall spot from the parking area. It is better to ride a motorcycle than to drive a car to visit this place. The entry ticket is cheap, only IDR5K but the place is a bit dirty because of the irresponsible visitors that dump rubbish everywhere. There are 2 waterfalls in Curug Cigentis. One with the heavy flowing water and another one is a bit slow. You may also be able to soak up your feet in the river in which the water is still clean and clear. If you're hungry, there will be a lot of food sellers along the river (inside the tourist object) that sell meatballs, chicken rice, etc. This also one of the factors that make this waterfall a bit dirty. Jatiluhur Dam is located in Purwakarta, exit tol KM 76. It is the biggest dam in West Java that impounds Citarum River. Citarum River is quite a big river that sometimes causing flood in the area of Karawang and Bekasi, especially when the water debit increased during high-rainy seasons. The entry ticket during weekend is IDR 15K/person, with IDR20K for one car. Inside, you must still pay IDR 2K to the parking man. Here, you can enjoy the beautiful scenery around the dam. There are also many wild birds that come fly near the dam to drink. San Diego Hills is located in West Karawang, exit toll KM 47. It is actually a cemetery that can also be visited to get some refreshment. The cemetery here is managed with a luxury and beauty. You may not realize that it is a cemetery because of the concept. Sate or Satay is a typical Indonesian traditional food using chicken, rabbits, beef or goat meat that is roasted on the burnt charcoal. Satay Maranggi is satay from a lamb (young goat). This food is one of the most favorite food here because Maranggi has less cholesterol and much tender than the mutton or adult goat meat. During weekend, more than thousand people come to eat in this place. Yes, thousand people. Believe or not, even to pay in cashier, we must queue in a very long queue. 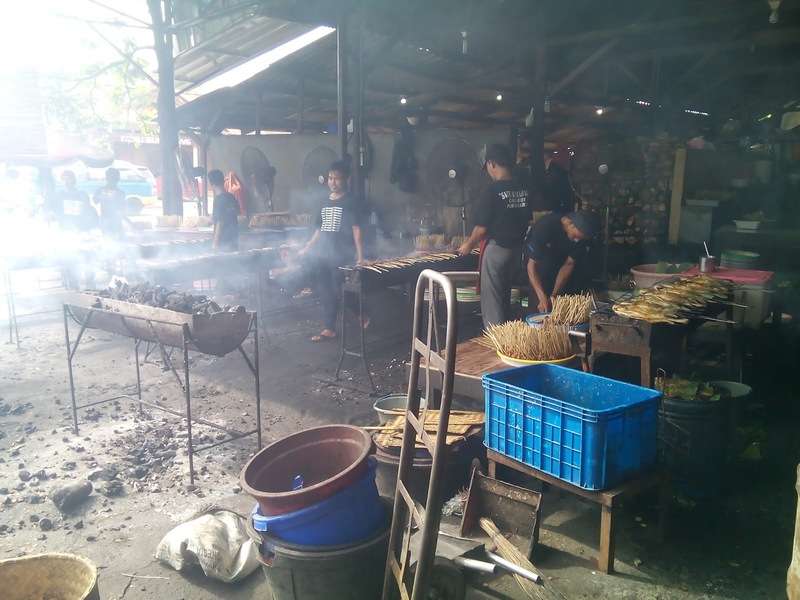 Here, not only sate maranggi that is served but also other food such as sayur asem, karedok (West Javanese salad with peanut sauce), sop daging, etc. The rice is also still wrapped by banana leaf, makes it fresh, warm and smells good. Sate Maranggi Cibungur located in Jalan Raya Cibungur. It is 2 KM from the exit toll Cikampek. For the price, rice is charged IDR 6K/pcs, sate maranggi IDR 4K/pcs, meat soup IDR 25K/ bowl, karedok IDR 14K/portion (latest in 2015). For the place, people eat surrounded by teak plantation (owned by Perhutani) that makes people feel relax and comfortable because the air is fresh. Biking to Office and Get Paid? Italia!